Rub a dub dub, sweet baby in the tub. The new parents are going absolutely love the awesome bath time essentials this gift has to offer. 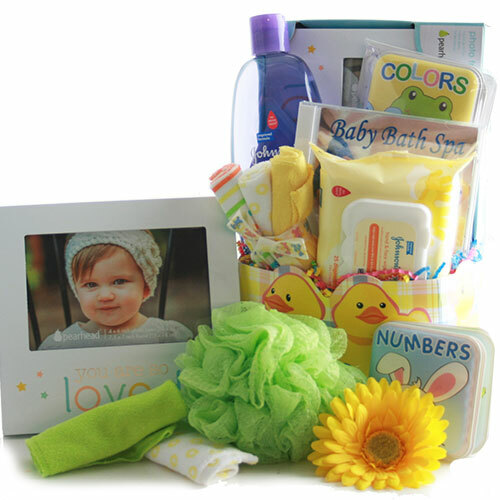 Complete with an adorable baby picture frame that reads You are so Loved.